You may have noticed our recent promo post (with an excerpt) of Katherine McIntyre‘s Soul Solution (Beyond Fairytales #1). An adaptation of String of Pearls by Hans Christian Andersen, it was everything I expected and more. Soul Solution is a dark paranormal romance which provides suspense as the reader longs to find out what will become of Erik and Mina. Will Erik be taken in by her so much that he just can’t help himself? Will he touch her and lose her forever? Or, will he manage to keep his distance in order to keep her safe? After bargaining his soul long ago, Erik is now a soul collector himself. Riding the train on the Copenhagen line each night, taking souls, and living a life of loneliness is all he knows. He doesn’t enjoy it. It hurts. But, it’s his curse. All he can do is target the people whose whole body glows to him, indicating that their time will soon be up anyway. He can’t get emotionally close to people for fear of touching them and taking their soul too. However, he becomes unstuck when Mina walks into his life. Mina is desperate to escape a blind date that she really didn’t want to go on. After spilling her drink on Erik, she quickly decides he can help her without realising it. Checking that he is okay, Mina leaves the club with Erik. Taken aback by her beauty and attention, Mina has brought him into a situation he is not comfortable with. He is ice cold to everyone, keeping his head down most of the time and trying to disguise his beauty, keeping attention away from him. But, after spending time with him, Mina sees much further than anyone has before. She senses that he is a troubled soul, she sees his beauty and his kindness. Mina’s ability to get through to him mentally and emotionally, as well as her beauty, leave him tempted for more. Yet, one touch could take years off her life. It’s an impossible situation; he can’t be with her, yet he finds it difficult to move away. There is a beautiful atmosphere created by the author, albeit dark. Erik certainly has many regrets and carries the guilt around with him. Mina is the only one who has had such an effect on him, helping him take his mind off collecting souls, which is all he has had to think about for so long. Will he give in to the strong temptation to kiss her, to touch her? Or, can he hold back and walk away? 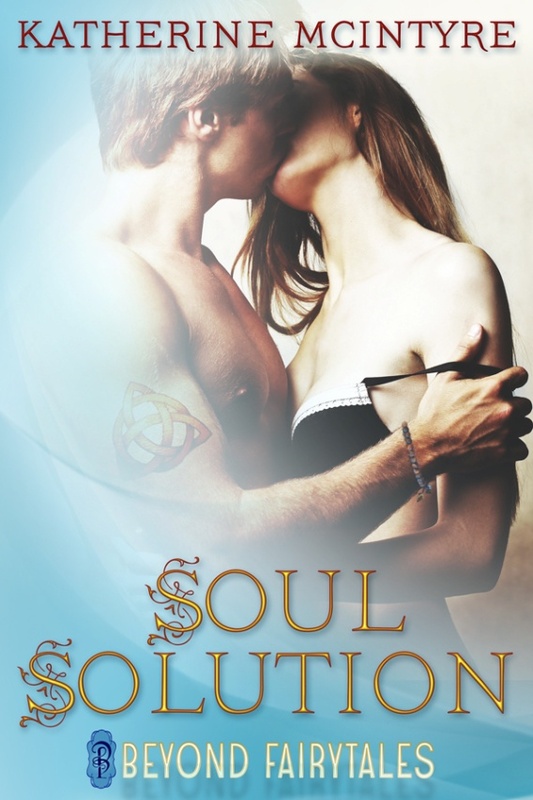 If you’re looking for a dark, paranormal, suspenseful fairytale-like romance then you will certainly find it in Soul Solution. With an unpredictable, surprising ending I LOVED this novelette, and cannot wait for more from Katherine McIntyre! An ARC copy was provided by the author in return for a fair and honest review. Soul Solution (Beyond Fairytales #1) is available at Amazon UK and Amazon US.